Pinterest, like many other ladies (and some guys!) my new addiction. The amount of inspiration I find every day is incredible. One of these projects has caught many peoples attention just because how unusual and fun this project is. 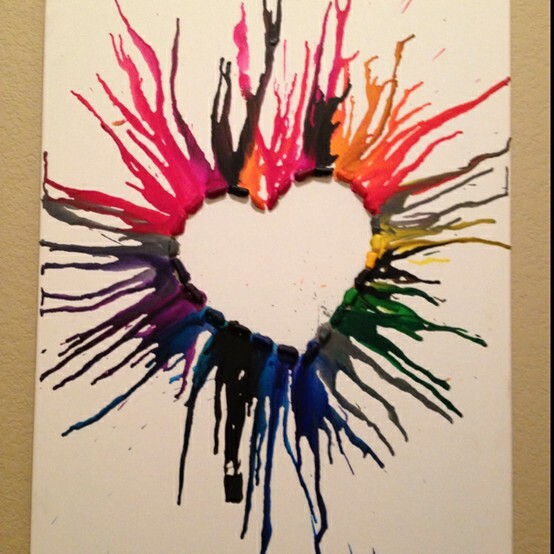 If any of you have Pinterest, you will definitely recognize the "crayon melting on canvas" that EVERYONE seems to have pinned. I was inspired by this picture, just because it was different from the rest and I hadn't thought of placing my crayons in a shape before heating. 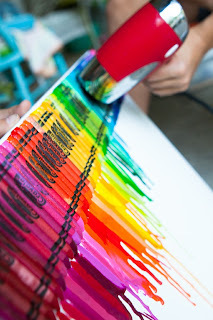 Glue your crayons on a canvas with hot glue. You can keep the paper on, or take it off, whatever your preference is. Then all you need to do if heat the crayons with a blow dryer or heat gun (I used an embossing gun because it was hotter and directed the wax better) and tilt the canvas and let the wax run! Make sure you've covered your work surface with something, this can get super messy. 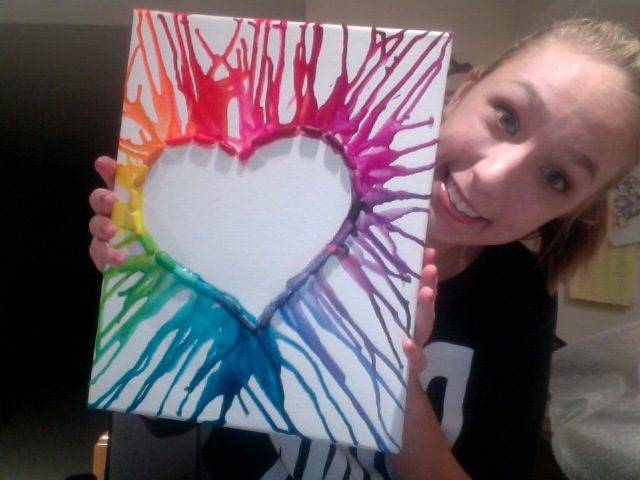 And here's my finished product! 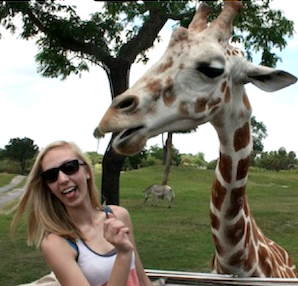 omg, that is so awesome! How did you get it to make the heart shape? Just draw a heart on the canvas lightly in pencil, then glue your crayons lengthwise along the lines. Then when you're heating it, tilt the canvas so the wax will flow away from your shape. This is a cool project! I've seen that pinterest original but never thought of a doing spin on it. I know! some people have such cool ideas on Pinterest! Do you think you could make one in the shape of a treble clef? Haha I dont know if I could, but I definitely think it's possible with a little planning. Will the crayon stick without paper? Won't the crayon melt and not stick? My crayons didn't have paper on them and they still stuck on!